I have been running around some Lakeland fells in the dark looking for a head torch. Winter is looming. It’s dark in the morning and dark earlier and earlier in the evening. The lure of the treadmill or training in a gym is just not an option for some, me included. I get it! The need to be out in the environment getting in some fresh air is essential to function on a day-to-day level. So, if you are going to keep running during the winter months a head torch is going to be essential. It is an important piece of kit and arguably one that is ‘mandatory’ when heading to the trails particularly at this time of the year. It may be light when you leave home but have you noticed how suddenly the light switch is flicked and what was daylight disappears into blue, dark blue and then black. 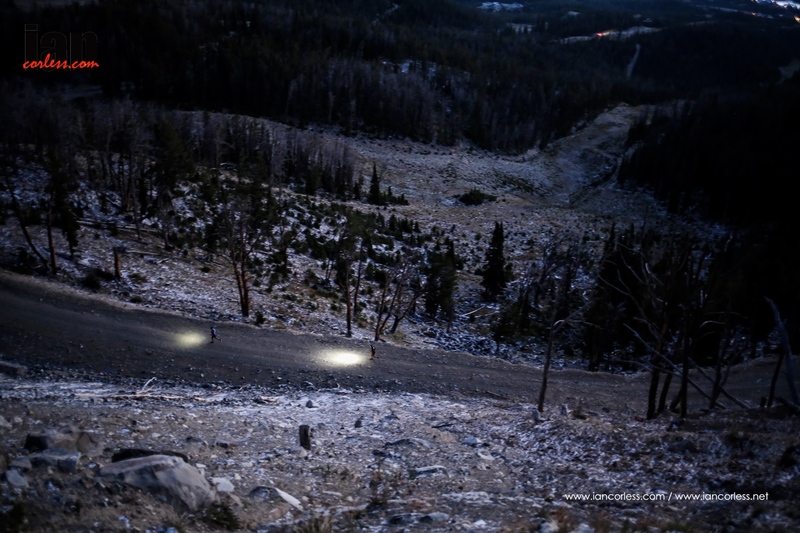 If you are on the road (with street lights) this is not too much of an issue but if you are off road, you are going to need a light that illuminates the trail, has durability and good battery life. My first tip is don’t skimp on what you pay. Yes, you can get a head torch for £20-£30 but it will probably be as useful as a chocolate teapot. Trails throw all sorts of obstacles at you so you NEED to see what is coming. One thing I hate about running at night is that I eventually fall into the beam and I feel that I am in a tunnel. It affects my mind, my vision and my concentration. Many head torches have ‘beam options’ that usually are ‘narrow’ or ‘wide’. This option is an essential item to allow you to adapt to the environment and your vision needs. NARROW will focus the beam. For example, you may be running single-track and need vision in a very specific area. You need to see roots, rocks or any other obstacles. The narrow beam will facilitate your vision and allow you to make on-the–go decisions without loosing speed. WIDE as it suggests provides a softer more widespread light that provides a much general field of view. This tends to work well with clearer skies or on open trail when obstacles are reduced. Some head torches allow ‘variations’ between wide and narrow. In some scenarios this may be appealing? In general though, two beam widths are adequate. What is important is the brightness of the lamp! Brightness is measured in lumens and I have a general rule. Buy a head torch with the biggest number you can afford. BUT be sensible. 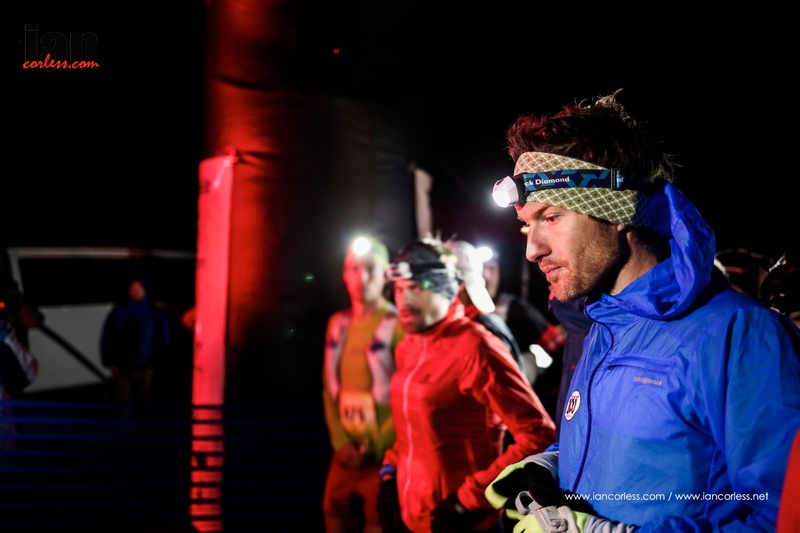 You don’t need a 140 lumen lamp for street running. 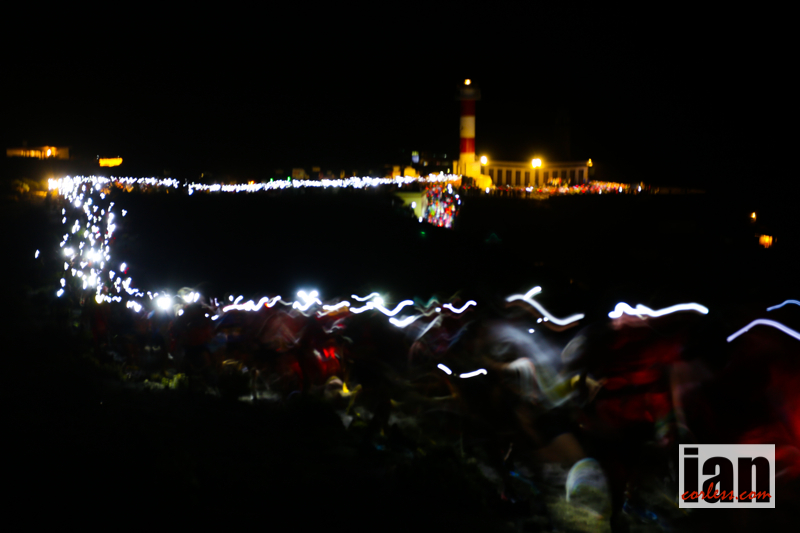 Equally, you can’t get away with a 40 lumen lamp on pitch black trails with 100’s of obstacles. As lumens go up, so does the price. Some head torches have a manual way to adjust brightness, for example, one button press = 60 lumens, two button presses = 100 lumens and three presses = 140 lumens. In addition this it may well have a ‘flash’ option that can be used for safety. A manual facility is for me preferable to some of the new head torches that ‘auto-adjust’ to conditions. I have issues with these when in fog, clag, mist, rain and so on as the sensor becomes confused. It over engineers a simple problem that a button click resolves; simple! Be careful of the ‘boost’ mode that some torches boast about. Yes, it may make you feel like a motorbike on the trail but this amount of power comes at a price. It will mean the light only last 30-minutes or you need to carry a huge battery to facilitate this. Understand your needs and be specific when purchasing. A light that provides too much power can be turned down BUT a light with no ‘additional’ power cannot be turned up. Also, when looking at power and brightness, this goes hand-in-hand with the beam. A narrow beam may well require less power because the beam is so concentrated, however, when on wide, you may wish to up the power as the light provided is softer. What a dilemma. You have purchased your super-dooper all singing, all dancing head torch at 140 lumens with wide and narrow beam BUT it eats batteries. Bugger! Use new batteries as often as you can. Many head torches use re-chargeables and that is a good (the best) option providing that you can also use conventional batteries. I like head torches that will allow me to run into a store, purchase a pack of ‘AA’ and be functioning again in minutes. It also means that it is easy to carry spares while running. It’s like we discussed above. Be specific. 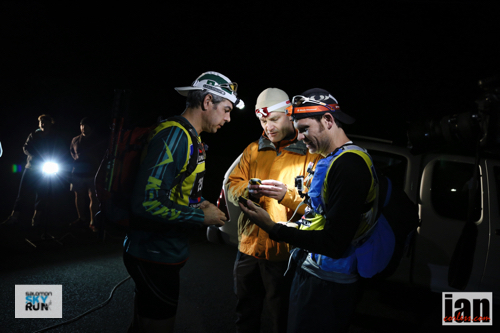 If you run typically 1-2 hours on dark trails, a 140 lumen light will be ideal and the batteries will last for the duration of the run. But battery life falls off very quickly after one or two runs. If you are doing anything important or long use FRESH batteries and have spares! This is where ‘re-chargeable’ batteries come in. If you have this option, you can re-charge after every run and therefore every training run will be illuminated just as you thought it would be. 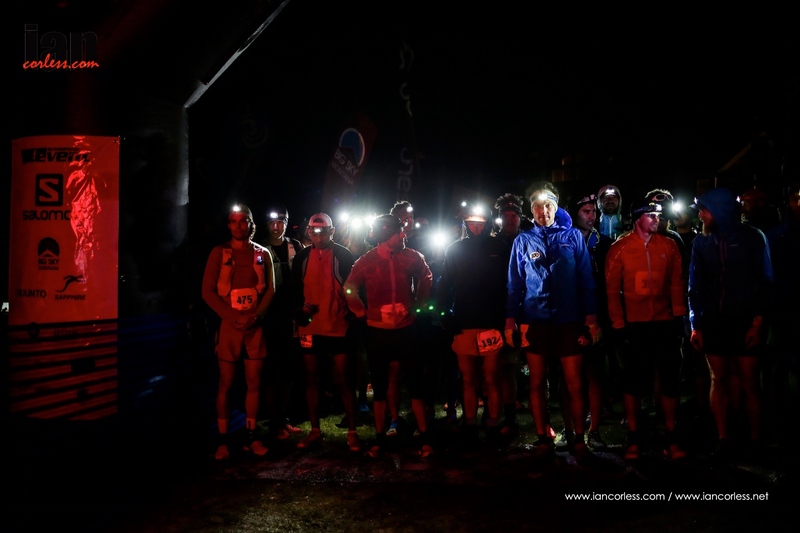 If you are running a 50 mile race and 8 hours are under darkness, you will almost certainly need one spare set of batteries and maybe even two! This why the option to use conventional and re-chargeable is important. Either that or you need 2-3 head torches! On a final note, batteries can either fit in the lamp unit at the front (typically 2 xAA or 3 x AAA) or at the rear in a battery box that is sealed from the weather. The latter option usually means that you will have more power and the light will have more autonomy but you will need to check! Is one better than the other? It all depends on your preference, I have found that a lamp at the front and batteries at the back balances the light well when in use. However, I do like the simplicity of everything in the head unit as it does allow you to use the light in other scenarios. Head torches will tilt and some swivel. This function will allow you to adjust the angle of the light based on your running style. This is important as we all have different run styles. You want the beam to be in a natural position taking into account your head angle whilst running and what field of vision you require. I usually prefer to see 2-3 meters in front of me as this allows me to run at a natural pace without slowing due to vision problems. If the trail is gnarly, I adjust the angle, power and beam based on my needs. Nearly all head torches use an elastic system to stretch around the head and hold the light in place. One or two also include a strap that goes over the top of the head too. This adds extra stability but often is a problem when wearing hats and so on. Ultimately you just want something that is comfortable. Night running is awesome. I love it. If you haven’t tried it, head out with friends at first, you will feel more secure as It can take some getting used to as you may feel disorientated. But once you have the feel for it, it will be something you embrace and of course it adds some spice to your running. If snow falls, embrace the opportunity and run under darkness, it is arguably one of my favourite times to be on the trail; dark skies, white snow and the glow of a light! 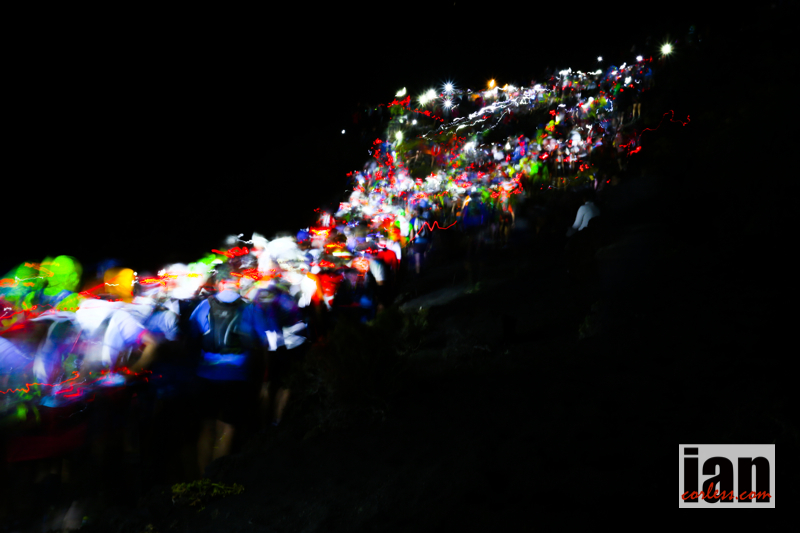 This entry was posted in Uncategorized and tagged batteries, beam, black diamond, head torch, illumination, light, night run, Night running, power, rechargeable, running in the dark, Silva, strength, top tips for buying a head torch, what head torch, what torch to run at night by talkultra. Bookmark the permalink. Hey Ian, Petzl have some interesting features on some of their head lights where you can set them up using a PC program to give varying performance, for example, if you know you need the light to last 12hrs, you can set this up on your computer and the head light will shine with the brightness required to make sure the batteries last the requisite time. The only drawback is you can’t then adjust the program when out on the trail, but it does appeal to the inner geek in me! Yes I am aware of this BUT for me it’s pointless (in most scenarios). If I need a 140 lumen lamp to see the trail but need the light top last 12 hours, turning the power down so it lasts 12 hours but then I can’t see anything defeats the purpose. 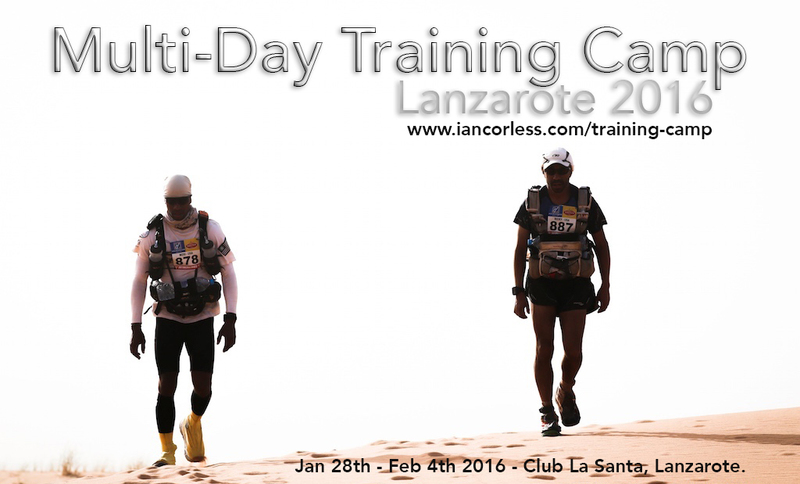 Just carry spares and have the power you need for a safe run! I agree with the problem of a torch’s auto adjust in claggy conditions, but you don’t need to use that function. On the Petzl Nao you can choose Constant or Reactive mode. The good thing about Reactive is that it increases battery life and is good for map reading and prevents dazzling others when running in a group. If it’s foggy then one click changes to Constant mode – the best of both worlds.